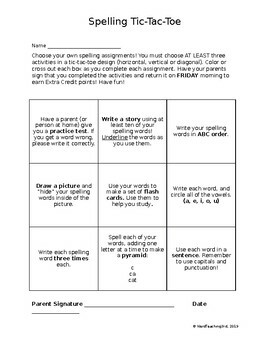 This is a weekly spelling homework that allows students to have different ways to practice their spelling words. They should choose at least three boxes to complete, and make a tic-tac-toe pattern. Enjoy!